Just Tried The Super Food Salad From Habit Burger - That Kale Pesto and Chicken Is Legit! - EAT WITH HOP! 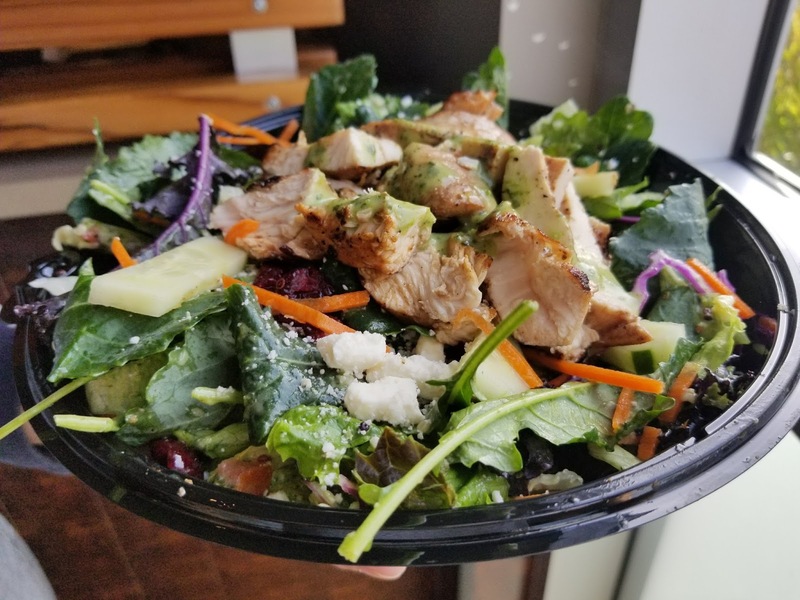 Home / CHAIN RESTAURANT / FAST FOOD / FEATURE / HEALTHY / SALAD / Just Tried The Super Food Salad From Habit Burger - That Kale Pesto and Chicken Is Legit! I don't normally buy salads from anywhere because I feel like it's usually overpriced for a bunch of greens that I could buy from the grocery store. Of course.. when would I actually have the time to even make a salad? Since I rarely have the time, I find myself lacking the nutrients I need from veggies and greens. When I visited Kevin for his lunch break, we decided to go to The Habit Burger nearby. My go-to order would be the charburger with cheese or mushroom swiss charburger. But this time, I knew I needed some greens. Feeling a bit hesitant on spending almost $8 on a salad...I tried telling myself that at least this salad comes with chicken. The new salad interested me, so might as well try it. $7 dollar something for a salad named "THE SUPER FOOD SALAD" actually was...super.... DELICIOUS! I was delightfully surprised by how good this salad was. The chicken was so juicy and soft. LIKE WTF! HABIT BURGER, YOU DA ONEEE! They don't skimp out on the chicken either. There was enough to make a satisfying meal. I had enough little chicken bites for each fork-full of salad. I also loved the KALE PESTO too! Healthy and creamy, the pesto was on point! I love pesto anything honestly so I am a bit biased here. But seriously, this salad is one of the best salads I've ever had at a fast food restaurant. 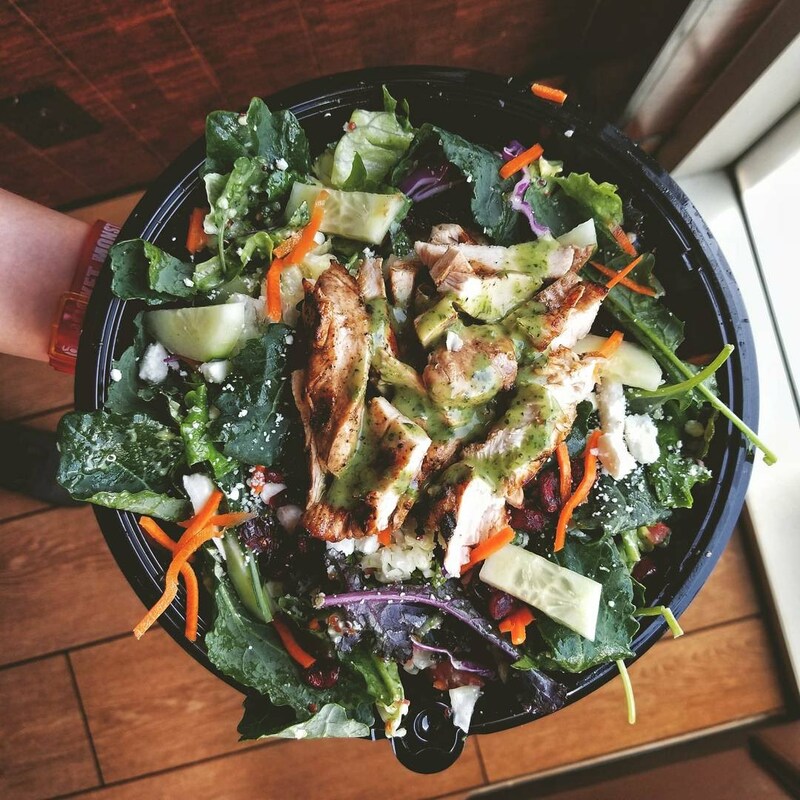 If I had to pick a place for salad out of all the other spots, I would go with The Habit, not gonna lie. Another thing I like about the salad is that it's not overdressed. I absolutely hate salads that are drenched in sauce / salad dressing because at that point, what is the point of eating a salad? Might as well drink the sauce .... which probably isn't that healthy. Anyway, I prefer lightly dressed / sauced salads because I taste more of the freshness of the salad as a whole that way. And, well my body feels better! actually gave enough slices of chicken to make a satisfying meal! Basically, I am a Habit Burger fan, and I am kinda into their salads now.